Not that long ago, if company owners or foremen wanted to get information about workplace safety, they had to either purchase and peruse through heavy books filled with rules and regulations or schedule an appointment with a safety inspector. Now, thanks to the internet, construction site managers and others who are concerned about this important issue can access pertinent information from their desktop, smartphone or laptop. For more than 100 years, the National Safety Council has been working hard to make the workplace safer. The website is a one-stop workplace safety shop and includes online NSC Safety Training courses that help employers make their companies as safe as possible. They also offer a free consultation to company owners; during the appointment, a representative from the NSC can tailor safety-related projects and goals to the specific business. To set up the complimentary appointment, foremen can fill out a request form found on the website. The site also includes information on NSC Emergency Preparedness training, OSHA Compliance Training and instructor development on workzone safety, forklift operations and more. 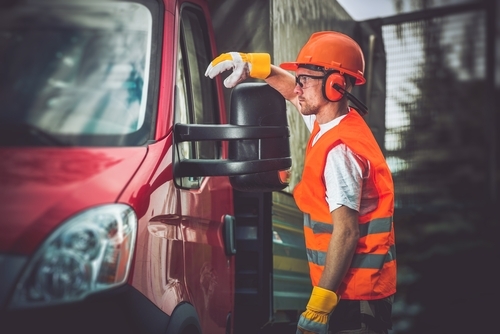 For company owners who have employees who drive on work timeâ€”either in their own cars or company vehiclesâ€”it is imperative that they stay as safe as possible while on the road. In order to help make sure that everyone is up-to-date on the latest driving rules and regulations in their state, foremen should suggest that their team visit the Driving-Tests.org website. The site is filled with helpful information about the driving laws in all 50 states; if someone has to drive out of state for a work-related project, the site boss might suggest that he or she take a few practice driving exams for that state on Driving-Tests.org; that way, the employee will be aware of any laws that are different in that part of the country. The Occupational Safety and Health Administration (OSHA) is the holy grail of workplace safety organizations. As part of the United States Department of Labor, the OSHA website includes a lot of pertinent and useful information for company owners about workplace safety. In addition to an OSHA Directory with contact information and addresses of regional and area offices, the site features a blog section filled with educational articles that can be helpful to any site foreman. 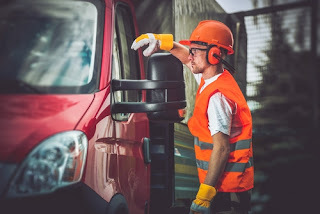 For example, a recent blog titled 8 Steps to Keep Workers Safe in the Heat is a must-read for anyone who has a team working in the hot summer weather. In addition, the OSHA site features information about their On-site Consultation Program, which offers free and confidential safety occupational health advice to small and medium-sized businesses in all 50 states. The National Institute for Occupational Safety and Health (NIOSH) website is another must-have resource for business owners. The site offers a wealth of free information relating to common workplace safety conditions. For example, the section of the site titled Workplace Safety and Health Topics contains a variety of in-depth and helpful articles on a number of subjects including Hazards & Exposures, Chemicals, Diseases and Injuries and more. The Safety and Prevention section is worth its weight in safety gold. Employers can click on a number of subjects to get tips and advice on topics like aerosols, asphalt fumes, heat stress, poisonous plants and venomous snakes and spiders. Find top-quality, US-made safety signs and labels on almost any topic at ComplianceSigns.com.